This is my Down model Skinner. It's a nice small package. It's flat ground and has some nice Box Elder burl. 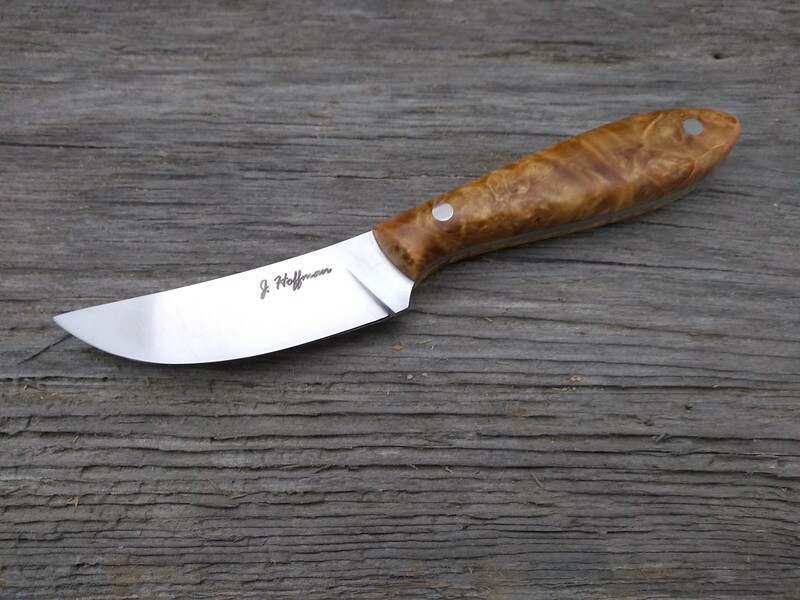 Good Looking knife, really like that box elder! That's a nice looking skinner Jess ! Nice, clean lines. That is beautiful wood. Great looking knife. Is the blade a trailing point? Yes, it almost has the appearance of a tiny scimitar.